The battle of Shiloh, fought in April 1862 in the wilderness of south central Tennessee, marked a savage turning point in the Civil War. 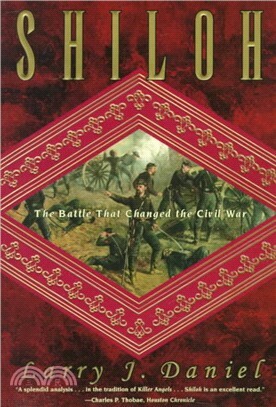 In this masterful book, Larry Daniel re-creates the drama and the horror of the battle and discusses in authoritative detail the political and military policies that led to Shiloh, the personalities of those who formulated and executed the battle plans, the fateful misjudgments made on both sides, and the heroism of the small-unit leaders and ordinary soldiers who manned the battlefield. Larry J. Daniel is the author of Soldiering in the Army of Tennessee and Cannoneers in Gray. He lives in Murray, Kentucky.